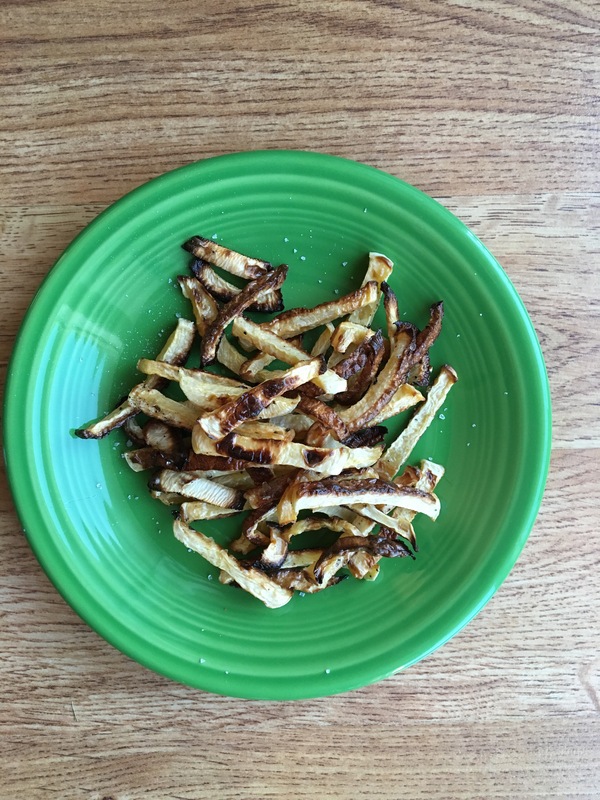 Rutabaga Fries | This RD Eats! Rutabaga fries are a great way to include veggies into your next meal. With half the carbohydrates as potatoes, these garden gems cook up into delicious fries. 1. Preheat oven to 425 degrees. 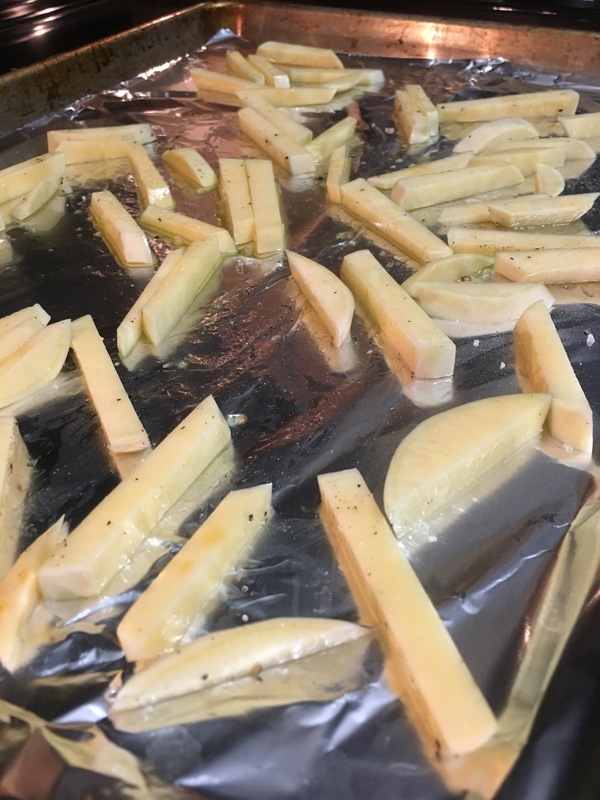 Peel the rutabaga and cut into thin fries (thin pieces will lead to a crisper fry). 2. Place on a foil-lines pan and coat with oil, salt and seasoning (garlic powder, rosemary, basil, Italian seasoning, etc) of your choice. 3. Bake for 20-30 minutes flipping halfway through. 4. Serve like you would French fries. This entry was posted in Recipes and tagged fries, rutabaga, vegetable. Bookmark the permalink. 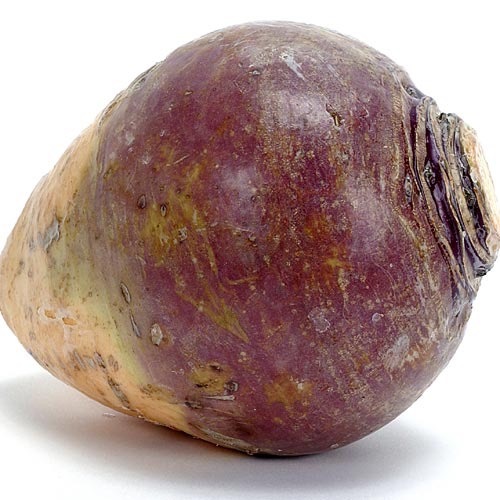 Love rutabagas–going to make these! I just love them. In fact, we grew several in our garden this year. Can you plant them like you do potatoes? I just planted seeds and they took off. No need to hill them (-and you will need seeds. You can’t cut them a part and plant a chunk like potatoes).